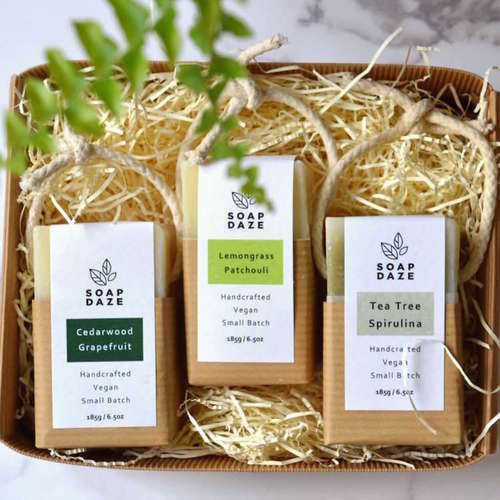 Natural skincare set which has been created with sensitive skin in mind. Organic Rosehip Facial Oil (30ml). 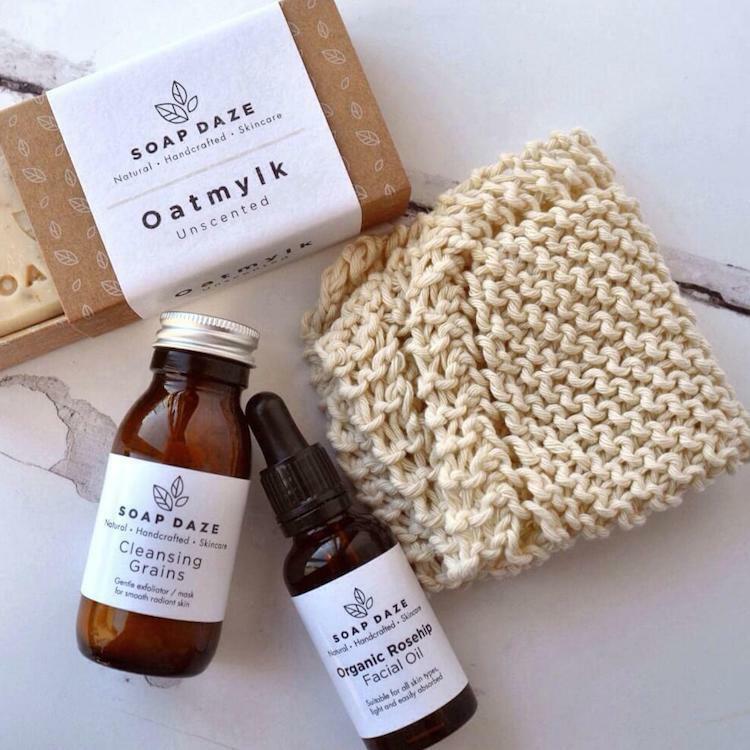 Cleansing Grains (30g bottle), can be used either as an exfoliator or face mask. 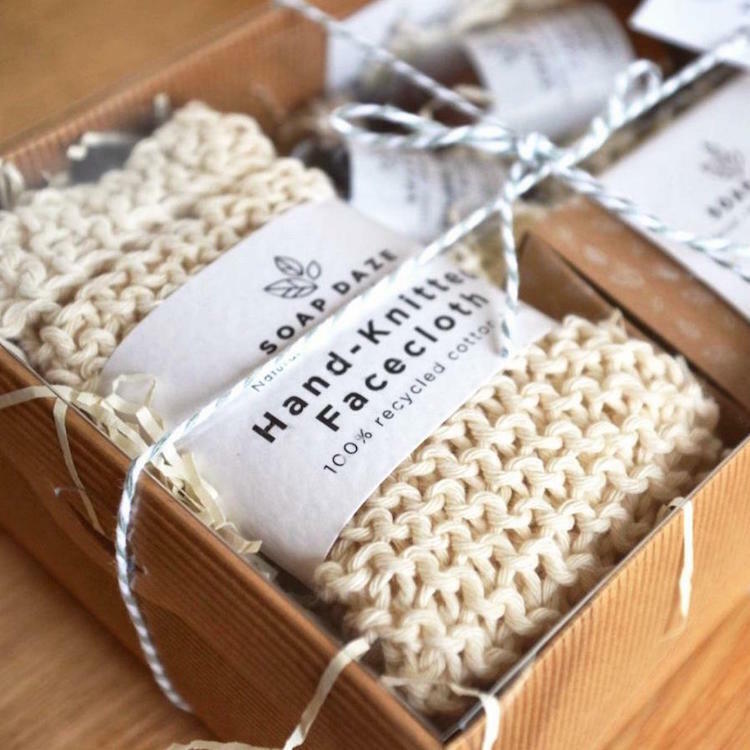 Hand-knitted facecloth made from recycled cotton. 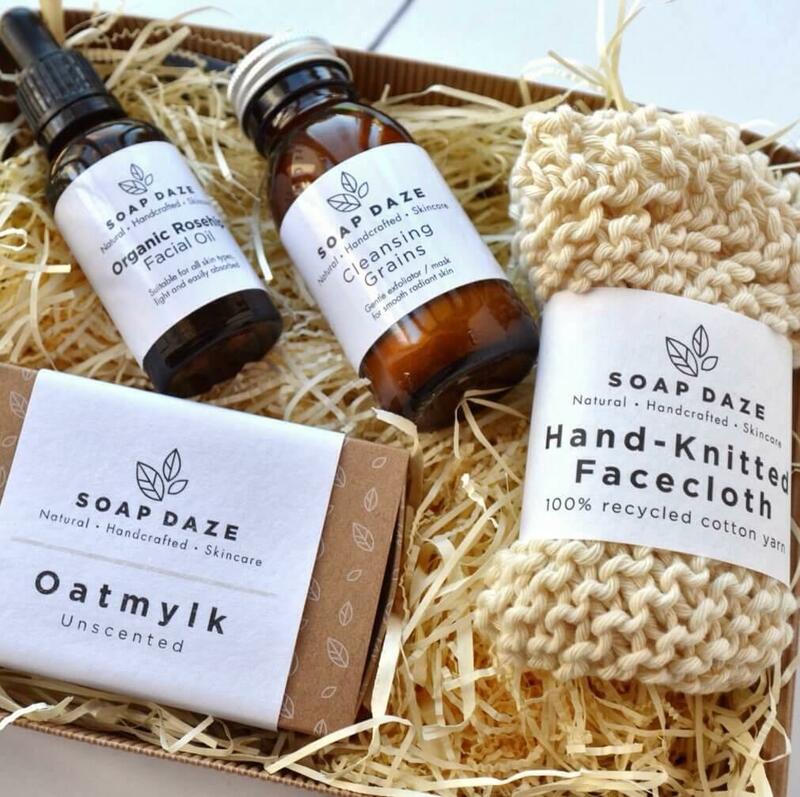 All of these products have been handmade in Devon and come packed in a plastic-free gift box with gift tag and baker's twine. 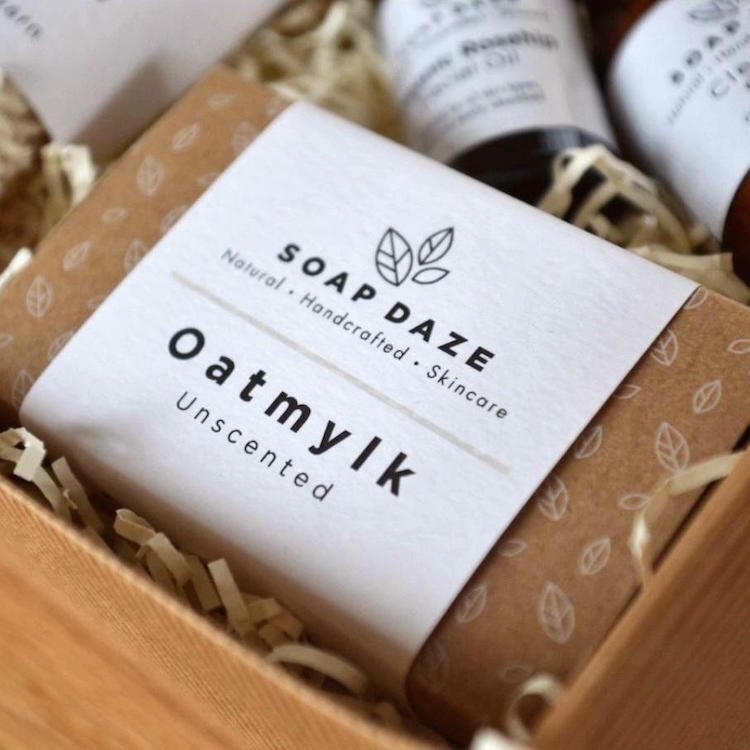 Oatmylk Soap - Ingredients: Sodium cocoate, sodium olivate, sodium shea butterate, oatmylk (aqua, avena sativa, helianthus annus seed oil, calcium, sea salt, carrageenan, iodine, vitamin D2, vitamin B12) avena sativa (oat) kernel meal, naturally occuring glycerine. 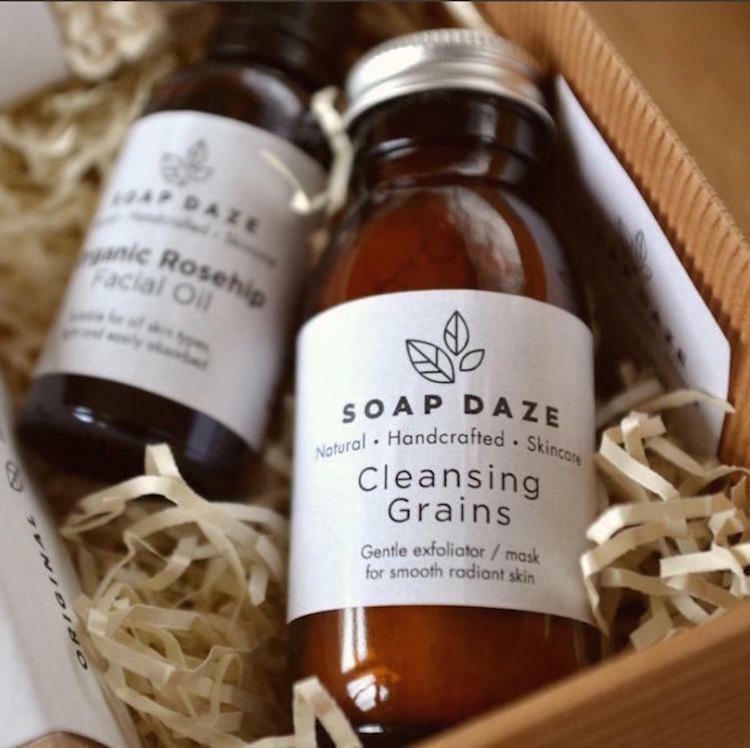 Cleansing Grains - Ingredients: French pink clay, oat flour, kaolin clay, brown rice flour, green tea leaf powder, chamomile flowers, coconut flour, echinacea, marshmallow root powder, liquorice root powder, kelp (seaweed) powder. 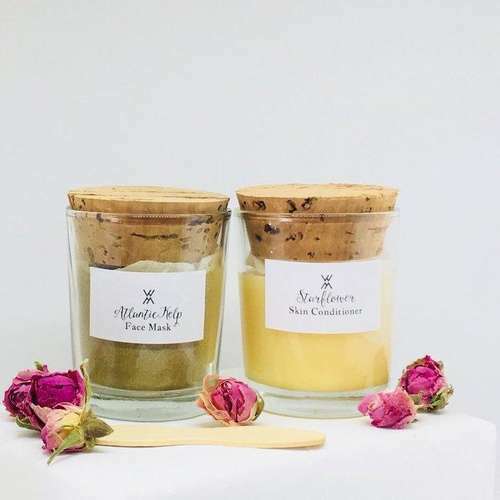 Facial oil - Ingredients: 100% Rosehip seed oil. 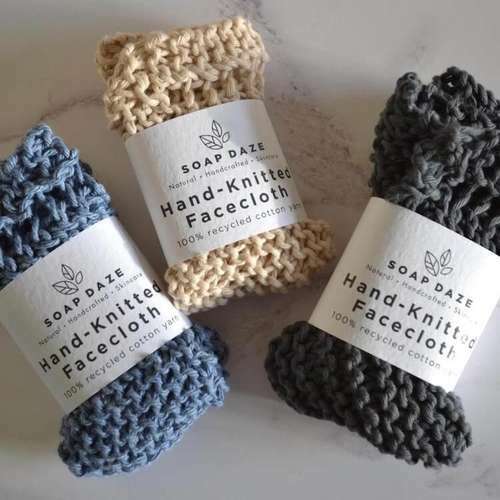 Facecloth - Materials: 100% recycled cotton yarn. Product Packaging - Glass bottles, plastic lid, kraft card, paper, cardboard, shredded paper.